I’ve been building up to writing this post for a long time, mainly because there is so much baffling information out there on eco paints, with many manufacturers using terms that are designed to mislead. In 2010 an EU directive came into force which heavily restricted the solvent (or VOC) content in paints. This heralded in a new era of healthier paints (whatever your views on Brexit, EU directives can be powerful initiators of change). VOCs are added to paints for fluidity and to make them dry quickly but they have damaging environmental and health consequences. The potential for VOCs to cause interior room pollution is even greater now that we insulate our homes well and block up all the draughts. Anyway, enough of the scaremongering, let’s talk about what constitutes an eco paint and which ones are good. It is fair to say that many brands have jumped on the eco bandwagon and having a minimal VOC content (although commendable) doesn’t necessarily mean that a paint is environmentally friendly. The way they are manufactured. As a general rule of thumb, the true eco paint manufacturers publish a full list of the ingredients contained in their paints. Earthborn. Like Auro, Earthborn score highly on the green scale with all of the interior paints holding the EU Ecolabel (a certification that gets awarded rather than bought). They have negligible amounts of VOC; contain no petrochemicals; and are produced under strict environmental standards. 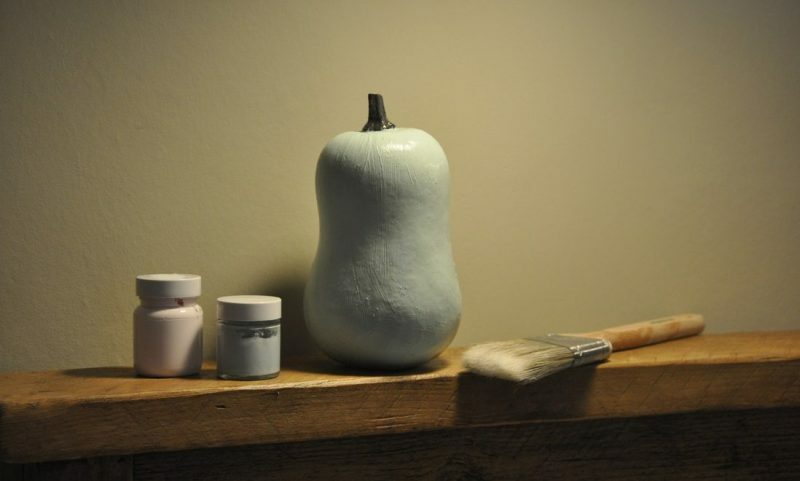 The Claypaint range (designed for the domestic market) is made in Germany and tinted in the UK. The Ecopro range (designed for the commercial market) is made in the UK, has a narrower colour range and is a bit cheaper. They fully declare all the ingredients in their paints. £64 per 5L tin. Edward Bulmer, formerly Pots of Paints. I haven’t used these but I’m eyeing them up for my next project, although they come with a hefty price tag. In terms of environmental sustainability these paints score very high. They contain minimal VOCs; are made from entirely natural materials (most of which are organic in the Soil Association sense of the word); and the manufacturing process is carbon neutral. They are extremely microporous making them excellent for old houses. Like Auro and Earthborn, the base paint is made in Germany and then tinted and mixed in Herefordshire. Recently they have teamed up with Oka to supply all the paints for their interior design projects as well as in the showrooms. They publish a very full and informative list of all their ingredients. £67 for 5L. Edward Bulmer Paints. A quick word about Farrow & Ball and Little Greene Paints. I really love the colour palettes of these two ranges and they deserve a mention. On the plus side they are both manufactured in the UK, have good breathability and are categorised as low VOC. On the green scale, Little Greene come slightly higher than F&B because they have lower VOC levels and their oil based paints are made from sustainable vegetable oils. However, like other paints in this list they do contain petrochemicals and other nasties despite being marketed as eco paints. Many thanks Natasha, really useful. I will draw this to the attention of Allergy UK tomorrow. Thanks Simon. I’m glad it was useful. It’s good to know that the Alliance for Sustainable Building Products are working hard raise awareness of VOCs and chemicals in traditional building products.